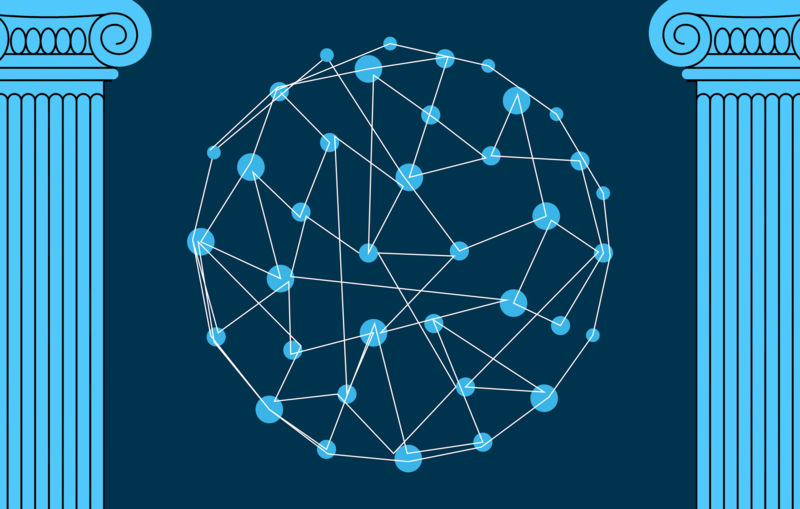 You know you want more new customers, and you know your website is key to getting them to your company, so how can you connect the dots? When you do a Google search, you’re likely to click on a link from one of the first five results. Have you ever given any thought to exactly how one of those sites gets to a top slot? It's a lead generation tactic fueled by organic search and search engine optimization (SEO) to drive your target audience to your website. If you're new to the marketing world for manufacturers, let's take a step back to the basics of SEO and how it all started. 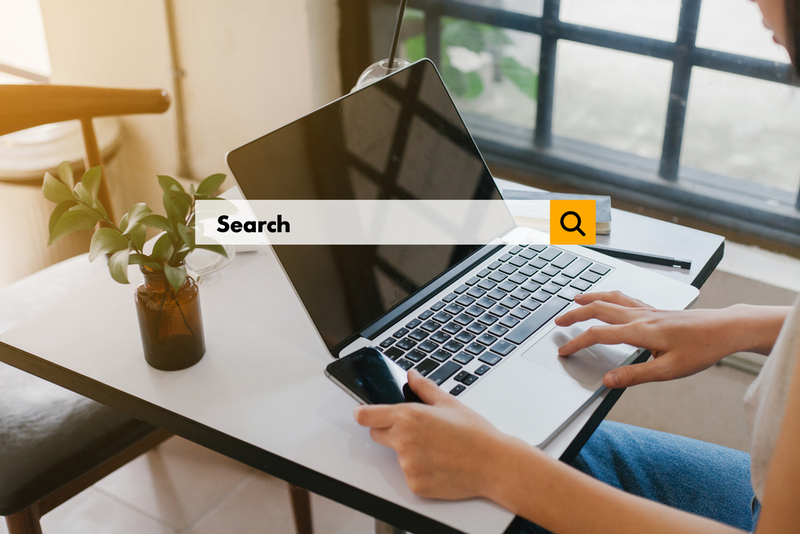 SEO stands for search engine optimization and how the search engines — Google, Bing, Yahoo, etc., — use a formula to determine the results for a user’s search. This is called a search engine algorithm. Google updates it's SEO algorithm every day. While this can be difficult to keep up with, the SEO algorithm updates keep marketers focused on creating quality website content. 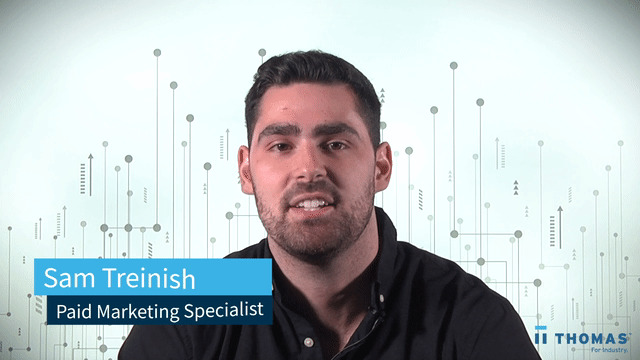 What Does SEO Have To Do With Marketing? Quality content relevant to your industrial buyers keeps them engaged on your website and increases the chance of converting them to a sale. When search engines are crawling websites to bring relevant web pages up for users, they’re looking for a number of key factors: content, keywords, site usability, backlinks, and page authority. So think about it this way: Your e-books, site copy and company information are all part of effective content marketing and are likely to have relevant keywords. The usability is all about website user experience and design — how easy it is to navigate through your website. Backlinks look to social media and all the other website pages that are referring back to your site. And page authority is everything tied together — basically, how relevant is your website to your specific industrial products or services. How did all this marketing get so complicated? What Does SEO Mean For Manufacturers Today? In the 20th century, manufacturing was a roller coaster, with the majority of industrial companies coming out on top of their game. New clients rolled in with help from word-of-mouth referrals, direct mailings, and directories like our own Thomas Register. As years went on and the "big green books" went out of print, prospective customers moved online, opening a floodgate of possible business opportunities — if you knew how to get found. With an increasingly large amount of data available on the internet in the past twenty years, buyers and purchasing managers began to turn there, as opposed to business acquaintances, for supplier and product information. In the early 2000s, companies were rushing to build websites, stuff them with keywords, buy backlinks from cheap, overseas SEO agencies, and cross their fingers that they'd get found. Getting to the first page of Google became, and still is, a key priority for manufacturers and industrial companies. However, some industries tend to lag behind other companies in the B2B space — especially when it comes to marketing. For example, other sectors have already mastered using virtual reality and newer social media platforms, which are great for SEO, but not everyone in our industry prioritizes having an updated responsive website. As the tail end of the millennial generation ages, graduates from college, and enters the workforce, these trends in internet usage continue to intensify. Millennials (roughly aged 20 to 36) in engineering and purchasing roles throughout the industrial industry rely on the internet, particularly search engines, to find the information they need to make informed specification and purchase decisions. The internet spurned a period of intense, rapid change in the way businesses operate. Specifics have changed in the past 25 years, but the environment of constant change remains, especially in the SEO field. The best way to manage and stay ahead of all this constant change is to stay informed on marketing trends and understanding your target audience so you can be where your buyers are and adjust your strategies based on their behaviors. There are a ton of ways you can boost your step up your SEO game and boost your website up in the search rankings. Honestly, each manufacturing company is different so finding the right mix of best practices takes some experimenting. 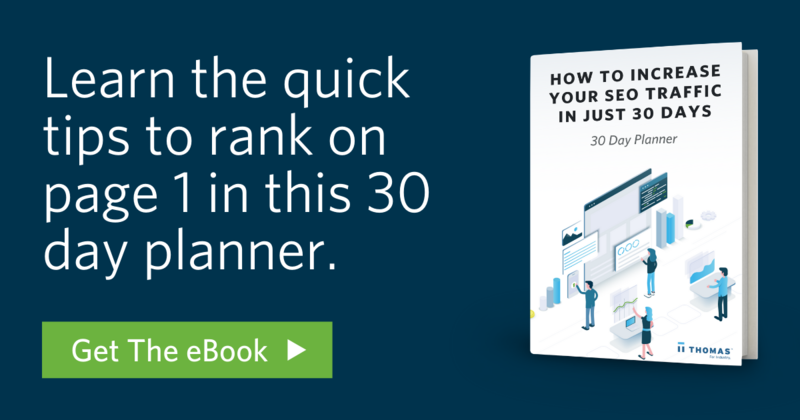 Below are a few basic SEO best practices we recommend if you're just stepping into SEO — and while you're at it, download our complimentary SEO planner, "How to Increase Your SEO Traffic in Just 30 Days" to kickstart your SEO strategy. One quick way to optimize your website for SEO is to simply update your website! What that means is posting content regularly, at least monthly, to keep search engines interested; and working to expand and improve your backlinks. A clear sign that your website needs to be updated with new content is if you only have one page. More website pages means more opportunities for Google to scan your website for relevant keywords to rank your website higher. Websites built more than five years ago likely have poor user experience and outdated technology, which isn’t good for anyone — especially those searching on mobile. Older websites that don’t respond to mobile device usage and aren’t optimized for search engine algorithms are getting left behind and simply won't produce any positive lead generation results — think back to the significance of the millennial generation we mentioned earlier and how they've been influencing online trends and the industrial customer buyers' journey. 57% of users won’t recommend a business with a poorly designed mobile site, so it's important to optimize your website not only for viewing on a smartphone, but tablets, and notebook computers too. Search engines also regularly update their algorithms, and often without notice — so don't get lost in the shuffle. Partner with an industrial marketing expert who can make immediate updates to put your website in the best position to get found by potential customers. For starters, we recommend that you take your time to carefully choose your keywords. Simple ones, basic industry descriptors such as “metal stamping” or “injection molding,” will be very competitive. Instead, develop long-tail keywords more specific to your work. Make sure you do your keyword research and use keywords that appeal to your target audience. In today's increasingly competitive landscape, industrial marketers are creating complex digital marketing campaigns to boost lead generation. Pay-per-click advertising, for example, is quickly becoming an integral part of a full and successful SEO strategy, as competitors improve their SEO. 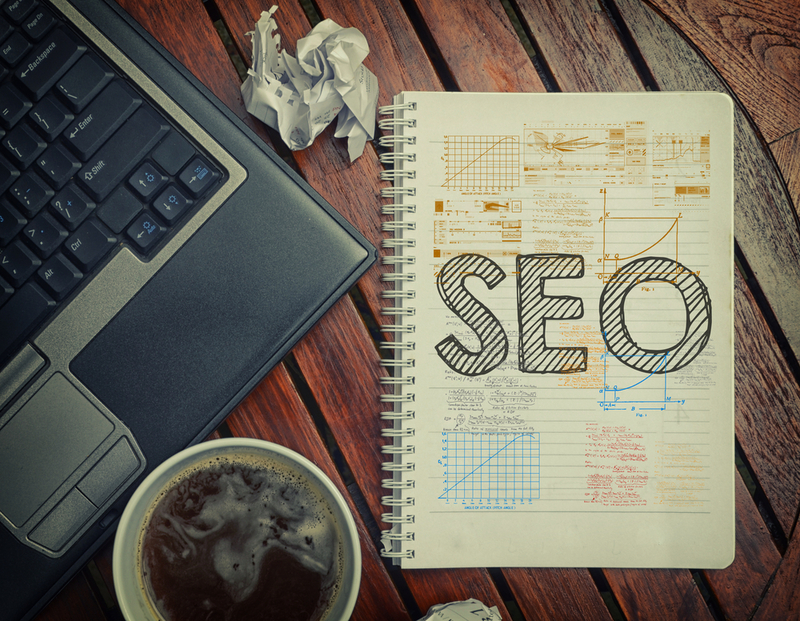 Although we've covered the basics of SEO and what it means for your manufacturing onsite SEO, there's still a lot of work that needs to be done to optimize your website — SEO is just one component to a successful marketing strategy. There's also a lot to still learn about, like onsite vs. offsite SEO and how incorporating video marketing into your lead generation strategy also impact SEO. There are many moving parts manufacturers need to incorporate into their marketing strategy. To make sense of it all and create an in-depth strategy specific to generating industrial B2B leads, contact us today.